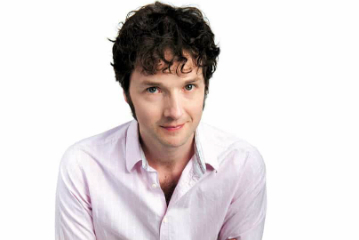 Actor and comedian Chris Addison will present La traviata: Behind the Curtain for Glyndebourne Tour 2018. With an expansive look at the historical, social, and even medical context of Verdi's opera, the event will take audiences on a journey: from the enthralling rhythms of Spanish dance via the neurological effects of watching Verdi, to the surprising origins of the paper hanky. 'I'm frankly a little bit over-excited to be working with Glyndebourne again and to get to have a tinker under the hood of Big Joe Verdi"s tragic masterpiece La traviata. 'We're going to see how it"s put together, how it works, why it works, which bits go where and why, and hopefully unlock this big-tuned, bouncy and most beloved of operas for newbies and superfans alike. "I love opera - have done since I came across Mozart's The Magic Flute in my late twenties - the unbelievable music, the insane plots and most of all humans doing things with their voices that are so beautiful they seem almost impossible." La traviata: Behind the Curtain is performed at Glyndebourne and on tour in Canterbury, Norwich, Woking and Milton Keynes. It follows the success of Don Giovanni: Behind the Curtain, presented as part of the 2016 Tour.